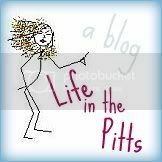 Life in the Pitts: I prefer to call it "genetically superior"
I prefer to call it "genetically superior"
I went to the dentist the other week. No, you read it right. 12 years. And it was the second time in my life. Growing up, we were really poor. Remember how we didn't have money for Health Insurance? Well, we didn't have money for a lot of things. Including yearly teeth cleanings. And, um, when I was little? Brushing my teeth wasn't exactly my first priority. I was really nervous. I had admitted to Kurt that is had been a few years since my last visit, but I hadn't told him just how many years we were talking about. He's a dental student. He wouldn't understand. But I did insist on going to see a real dentist, and not a student at the school. There's nothing wrong with the students- they do a great job. But I know a lot of them, and Kurt knows the rest of them, and if my teeth were crumbling and about to fall out, I didn't want it getting around the school. Dental students are the worst gossips. I was nervous. Really nervous. I even flossed for the occasion (I floss my teeth just about as often as I go to the dentist). I had years of Calculus buildup (Kurt refuses to call it Tartar), and it took me a few tries to figure out the spit-sucking machine. But as for my teeth? The ones that I thought would be crumbling and falling out? And they aren't even serious. "You could just wait until next year, and have your husband fix them in the clinic. They aren't bad at all." I was shocked. And impressed with my dental genetics. But I guess it makes sense, because my little brother just went to the dentist for the first time in his life (he's 15), and he didn't have a single cavity. We totally lucked out in that area of the genetic lottery. Kurt was impressed. Mostly when he saw my X-rays. "Whoa, 3 of your wisdom teeth are missing! And the other one is fully ruptured, but perfectly placed. You aren't going to need any surgery." Even better. For years I'd been worried about it. I had heard that it's possible for the surgeon to nick a nerve, and for one half of your face to go completely slack for the rest of your life. And I just knew that that would happen to me. A few years ago when I was teething (which hurts like hell), I decided that I was going to wait until after I got married to get them removed. That way, if my face became lopsided, it would be too late for the guy to run. I'd have already snagged him. But now? I don't have to worry about any kind of nerve damage. Score. I guess the moral of this story is if you are going to be really poor, make sure you live on a farm in Michigan. The fluoride levels are to die for. Ha haa ha. We have great flouride in the water here too. I rarely floss and my dentist asks if I do it all the time...uh, no. Boring. I'd rather eat dark chocolate. I can so relate. I wasn't exactly um "diligent" about going to the dentist during college ( as in didn't...at all) or the first couple years after. But when Mr. Man popped the question, the one thing he asked was that I go before the wedding so I did and nada. Zip nada zilch. He went around the same time (and went diligently every six mos) and bingo...CAVITY! HA HA. I did not luck out on the wisdom teeth though. 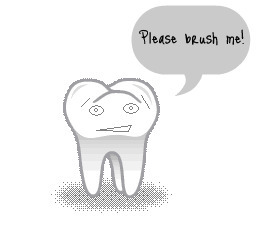 I haven't been to the dentist in a long time either and I'm scared because I have to go. My husband says it's a "rule". Maybe if you come with me, some of your lucky genetic awesomeness will rub off on me. Whatcha think? I mean, Pittsburg isn't really all that far from me. Right? I haven't been in a few years and I'm scared at how many cavities I will have- I didn't get my first cavity till I was 18 and was living in Provo- where they don't add fluoride! How crazy! So I'm sure there is 7 years of Utah damage in my mouth. Thank goodness Des Moines has a high concentration. I hope I'm as lucky as you when I do go... Though I love to floss. I keep it on my dashboard and floss at red lights. you should try it, it's groovy. I am so glad you went to the dentist and only had 4 cavities! I love the dentist....but I'm a weirdo too! Great post. I was told to get a crown, um, 5 years ago. I'm notsomuch excited to do it. Lucky! I floss religiously and see the dentist every 6 months...and I have SO many cavities. Darn my Mom for handing down her crappy teeth! That is awesome! Poor Dave and his crumbling, soft teeth. Our family definitely does not have good teeth genetics! I waited 3 years to see a dentist and ended up with 8 cavities and a root canal. Ah Helena...this is why I love you! You tell it how it is. :0 The hygienist in me is screaming. But the rest of me says "way to go girly!" At least the bacteria in your future children's mouths won't stand a chance due to Kurts skills and your genetics. Awesome. ROFLMAO at your reason for waiting to have your wisdom teeth extracted! I'm going to have to tell them this at work (the scary dental office!) tomorrow. Haha that's awesome and totally reminded me to make a dentist appointment. I haven't made one since I started college now that my mom stopped making doctors appointments. I'm really not getting the hang if this responsibility thing. Awesome story, congrats you lucky one! With my sporafic dental visits I used to always have a clean bill of health. 'Til earlier this year when I finally went to the densit...why lord, why?! 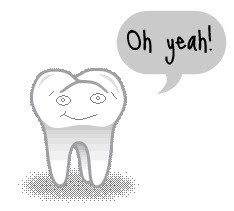 But I just went to the dentist last Friday and all is well. Been flossing daily since. I hope I'm the same! I'll be going in the end of October... I'm a little nervous. That's awesome! I wish I had the dental genetic you have. Unfortunately, I DON'T!!!! You are an amazing writer! Lucky! I just went to the dentist and had to get a filling and a root canal. My mouth is still numb and I am so tired from all of it. it's totally genetics. My hubs is 42, never goes to the dentist and has no cavaties. Daughter is 17 and does go to the dentist but they praise her like she is some superior flosser and brusher...no cavities either. me, several and I take really good care of my teeth. By the time you read this, I might be in prison. Ok, I'll admit it. I love my job. I have a midterm tomorrow. Blood and guts are just not my thing. Usually. I might just skip church. For a year. I feel like there should be more stuff on here. I am not pregnant. But thank you for asking. Am I the only one who hates Comcast? He is such a lucky guy. And there wasn't even a tornado that time. I think I need to start a new blog. It's totally Fall. When did that happen? Well. There goes the magic.